The Eco-Lip Cut is a tooling instrument with the purpose of cutting or making lipping for steel rules with high quality requirement. • Alternative tools enables straight and lip cuts. • The specialized design incorporated into the blades ensures that there is no bevel distortion. 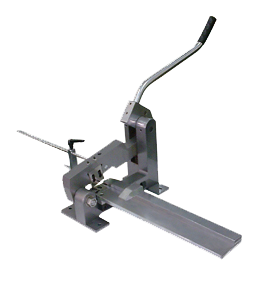 • Large mechanical advantage enable thick rules to be cut and lipped with minimum effort. • The Eco-Lip Cut is designed for the sole purpose of lipping & cutting of steel rules used for the die-cutting and creasing of paper, cardboard and corrugated board. • The Eco-Lip Cut is to be installed and operated in die-room at a suitable working table. • Free to select different types of steel rules for lipping & cutting at desired lengths. • Specially designed cutting knives set (Male & Female) with tempered tool steel providing consistent lipping & cutting. No deformation of cutting edges. • High quality structure, solid body, easy handling, and only use least force which can provide good lipping & cutting. Eco-Lip Cut is designed for the purpose of cutting or making lipping for steel rules with high quality requirement. 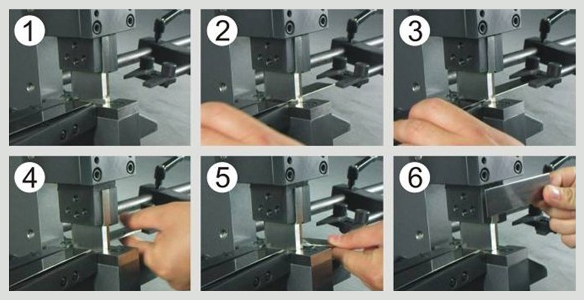 • Through fixture the operator can choose either straight cut or lipping cut? • Designed to produce left and right lips in one operation. • Quickly adjustable, to lip/cut center or side bevel rule. • The cutting-tools are made of high-speed steel to ensure longer lifetime. • Eco-Lip Cut is designed for the sole purpose of lipping & cutting of steel rules used for the die-cutting and creasing of paper, cardboard and corrugated board. • Eco-Lip Cut is a manual device, and does not carry magnetic or electric requirements. 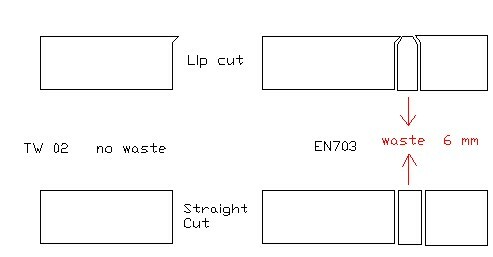 • Eco-Lip Cut is to be installed on a suitable working table and operated in a die-room. 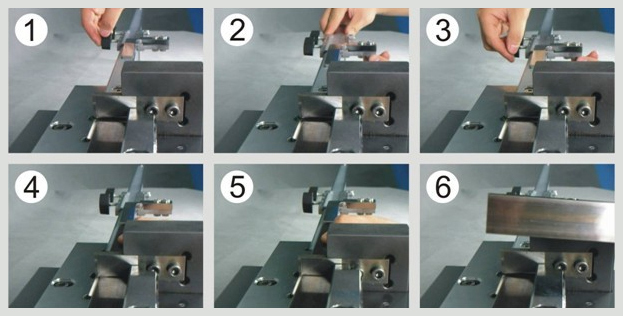 • Self-adjustment of different lengths of steel rules for straight & lipping cuts at desired lengths. • Specially designed cutting knives set (Male & Female) with tempered tool steel providing consistent straight & lipping cuts. No deformation of cutting edges. • High quality structure, solid body, easy handling, and only use least force which enables good straight & lipping cuts.